Though the name sounds boring, the â€œVery Large Array”, abbreviated as VLA, is known to be one of the largest telescopes in the world. It is built and setup in a desert outside Magdalena, New Mexico, and covers hundreds of miles in diameter space. The whole device consists of 27 separate radio antennas. Each antenna is 82 feet in diameter and weighs almost 230 tons. The whole array forms a “Y” shape and is 13 miles long. The whole device as one combines to give a 22 mile wide antenna resolution. The device is used to collect signals from some of the brightest objects in the universe. Some of you may recognize this device from the movie “Contact”. The device is used to provide high clarity images of objects in aerial regions, varying from images of the moon to images obtained from the farther end of the universe. The device uses radio antennas as the radio waves are known to move further in between cosmic dust without any obstruction. Thus, the device is known to be more useful than high resolution optical telescopes. This single device has helped a lot of scientists to gain more knowledge about the black hole at the center of the Milky Way. They have also obtained facts about the origins of gamma-ray bursts in faraway nebulae. In the early 1990’s, they received radio transmissions from the satellite Voyager 2 as it passed Neptune, giving us the first up-close photos of the gas giant and its moons. 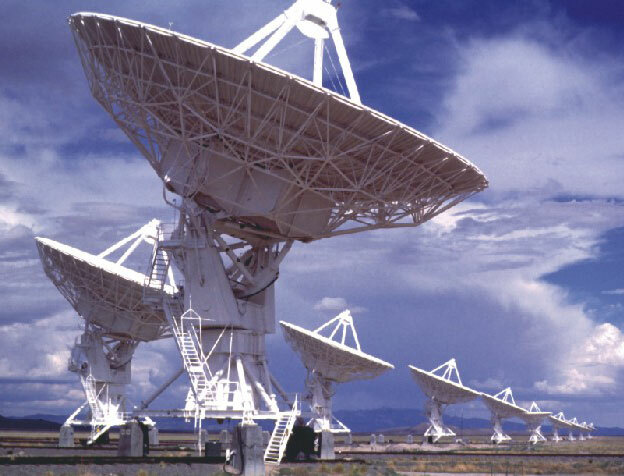 The VLA also has a sister project called the Very Long Baseline Array (VLBA), situated about 5500 miles from Hawaii. The device consists of 10 radio antennas and is also used to obtain high quality images of aerial regions. Any change in the orientation of the Earth can be automatically calculated and alerted by the VLBA, as it focuses on distant, virtually fixed objects such as quasars over time. One of the main reasons for small shifts in the Earth’s orientation is earthquakes. Most of the astronomic data that the students learn in schools are obtained from the VLA and VLBA. The annual budget of the device is known to be around 15 million USD and the construction cost was 300 million USD. They need almost 300 staff as manpower for the device.